We hope that everyone has got the new Mi Band 1S from Santa, so our app is ready to give you new possibilities. Now you can manually measure your heart rate when you want. Also, you can enable heart rate measurements during your sleep. In the future, it will be used for improved sleep analysis. When you are measuring your heart rate, make sure that you don't move and have your hand on one level with your chest. See this pic from official app to illustrate. Sometimes, from observations, it seems that tracker doubles or even triples the measured value if you move. It's a known issue. Please, report by email any other bugs you may see. In the release, many bugs were fixed. The app should be more stable in general and OneDrive sync should work without any issues as it was before. P.S. We have added Chinese translation of the app! P.P.S. It seems like you can configure periodic heart rate measurements, but this feature is not yet utilized in official Mi Fit application, so it needs additional investigation and will be added later. Works great. I will test it with genuine pressure/bpm machine. Also, please put walked distance and calories in history view. Fantastic!!!! Good Job.. Thanks you for you work. Compatibility with MiScale for when? 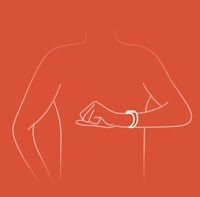 would be good to have an ability to measure heart rate by using some special gesture by arm or just by timer. Hey my freind. Records for sleep coming soon ??? I bought pro version. Please answer??????? Hello. Could you include a possibility that user is alerted every 45 min or so if he is not moving enough. He also could define in what hours. So, when i'm working, the band would alert me if i'm sitting too much. Same question over here, I've also bought pro version and I expected a detailed sleep record as we can find in android/ios app. Any info about when we will enjoy this feature? Great job with the app anyway, you have done a great job. same here. expect to see more detailed activity analysis in future, i.e. at least hourly bars for sleep and walk, not daily summaries. for now it seems to me, reading in bed and watching tv is also counted as sleeping. Yesterday I was browsing on reddit and found a thread, where guy from "Microsoft notifications API" wrote, that they are giving access to those APIs to developers on request. That would be awesome function. Hey guys, just received my Mi Band and installed the app..but i cant seem to have the heartbeat measurment to work at all. That screen says "need to update", then after taping the little heart icon and letting it "load", it just goes back to this "need to update" state, never measuring heartbeats :( Any clue? You need to pair it to iOS or Android device that have miFit app installed. 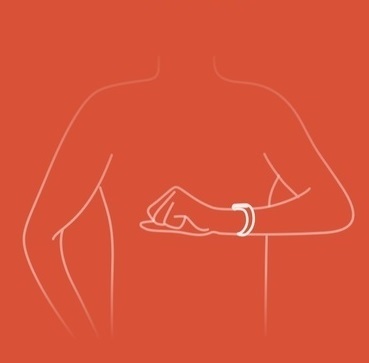 That way, when you pair it with officialy compatible device, mi band will download latest firmware that will allow you to use heart rate monitoring feature. I am albo wondering about mi band. So sleep analysis works on pro version? I mean vibration during you should wake up for example? Smart alarm works on free version too. The pro version have sleep analisys? Nope...you just have amount of sleep, light sleep, bpm during sleep or these things. Just duration of sleep and steps walked during that day. Is it possible not to delete data from band after sync? I use it with two devices (android + WP) and after sync with one of them there are no data to sync with other. I have MI Band firmware 5.15.11.20 and the Bind MI Band Pro version 1.11.0.0, however I'm not able to see the heart rate in my app. Please suggest a solution. Hello finally get mi xiaomi mi band 1S, works perfectly with Bind Mi Band! thank you so much, after update in a android device, unistall and paired in my windows phone 10 mobile it's awesome. Hello, I Paid PRO version already and wanted to ask you when are you gong to add the sleep analysis and notifications? I think you will be able to login with Paypal if you set your phone to US region because when I used it on my country location it didnt offer any other means of payment other than direct credit card number...but that's ok too, at least for me. thanks for the advice but i've got paypal option. The pb is that it is "locked" under the name of the phone owner (my wife) and i cant change when the choice is offer to add a mean of payment. is possible to use on two device at same time? i try to connect to android to see the other function i can't use on Windows but impossible to sync data on two device. is normal? When any new version ? As I said I bought bpro version:) is good but it would be Great if notifications were included. Is it planned to add notifications (SMS and calls)? Notifications is impossible for third-party apps. Only Xiaomi could get access to notifications API for it's official app but that will not happen' any time soon. It is not true. Microsoft can get acces to notifications for third-party apps. It is possible but M$ doesn't allow it unless it is official device app. Maybe this policy change with Win10 but I wouldnt count on it. Microsoft allows notifications on accessories only for Registered Partners, not for ordinary developers. 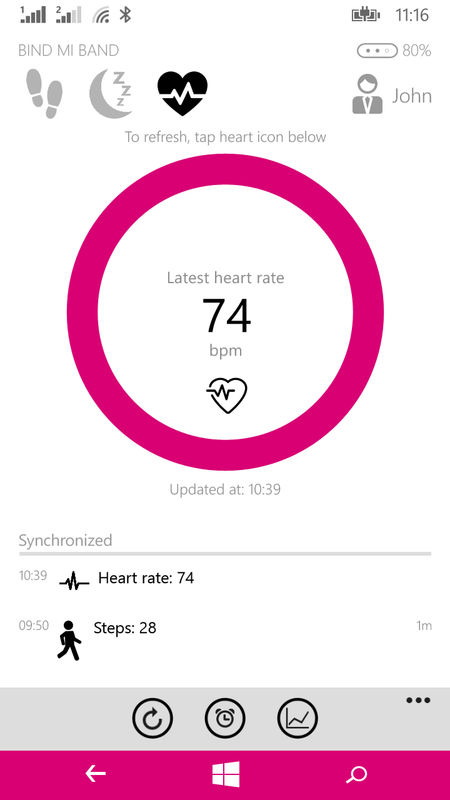 Why Heart rate is not available in my Lumia 540? Already I had purchased the lifetime subscription. Hi, regarding "you can enable heart rate measurements during your sleep". I have it enabled, but where can we see the statistics (I have the PRO version)?